Who doesn’t like Chocolate? 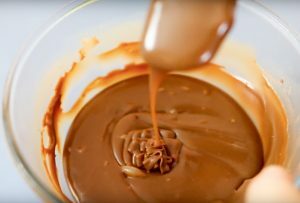 and well, Ganache is just Milk Chocolate with a little extra Cream, You just can’t beat it, the cream that is..
Place the chocolate into a microwave safe bowl and add the thick cream. Pop into the microwave and heat on high for 30-45 seconds. You want the chocolate to just start to melt but remember the chocolate may not actually look like it has melted so be careful not to overheat the chocolate and burn it. Remove the bowl from the microwave and stir through. If there are still chocolate solids visible place back in the microwave for 5-10 seconds. Mix together thoroughly and set to one side to cool. 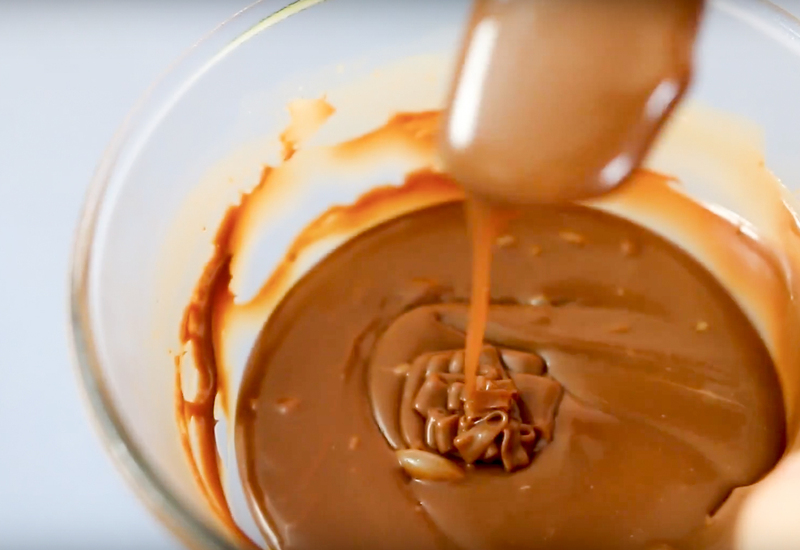 If you want to pour over a cake you may need to warm the ganache a tiny bit in the microwave before using. If you want to use it for coating or crumb coating a cake allow it to cool completely and it will thicken. And if you want to pipe with it to decorate cakes or cupcakes you can whip it up so it lightens in colour and texture.